Every few weeks I buy a lottery ticket, and it sits in my purse until I remember to get it checked at the grocery store, and then I pick up another one. I've never been a habitual lottery player, but my mom is. When I was in high school, my mom won the lottery. I remember waking up to sounds of exciting downstairs, a voice saying we won over and over again. I had no idea what was happening. As I came downstairs I was stopped just short of the bottom by my mom and her partner, huge grins, eyes wide. A lottery ticket and that morning's paper were shoved into my hands as I read out the number. Sure enough, it matched. And we were all a little stunned. My mom, not wanting to risk a possible newspaper typo (and since we didn't have the internet, couldn't check online) took the ticket to the same convenience store where she bought it, and sure enough, the numbers didn't lie. It was definitely the start of something very interesting for our family. And despite the fact that perhaps lightning doesn't strike twice, my mister and I still buy tickets every so often and keep our fingers crossed. It'd be a nice retirement fund, right? Do you ever play the lottery? 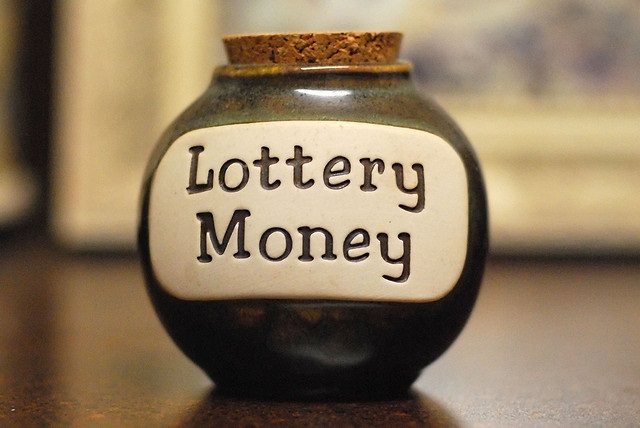 Do you check via lottery.net, or another online site? Or do you check it in person? In Ontario we have little kiosks where you can scan your tickets, but I still like to take mine to an actual person for some reason. Call me old fashioned!